There are currently 29,983 users on this website. This is my first time posting so forgive any informailities, but I came because I thought I had something and couldn't find anything else on it. 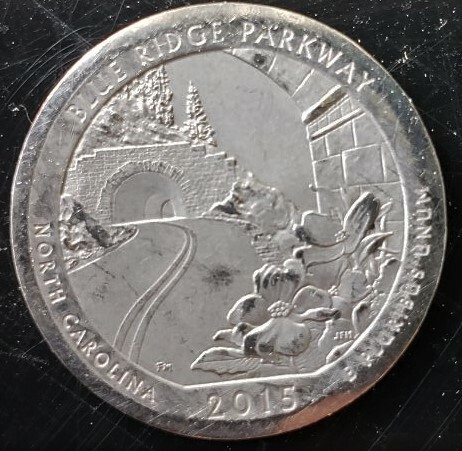 I found this 2015 BRP-P coin in my drawer that I had sitting in for a few years mainly because I thought this quarter was weird but moved out of my parents house until I visited recently. It is smooth, and I mean the ridge. At least I think it's called the ridge. Normally, I would have thought that this coin was worn down and that doesn't mean much. but it seems that it was stricken after the fact it had worn down as there is "print" over what would look like the lip. This Latin. easily seen for some of the letters in "Ridge", all of "Parkway", and the latin. Pictures are a little small but it looks like the rim has been intentionally or unintentionally ground down. There is no way a coin can be minted with a rim only on one side. Also the "print" shows because it is incuse in the coin and is below the level of the rim. It is not minted only on one side. Both sides are like this. Blame the small picture on the size limitations on the website. This has mostly always been a site problem, I noticed. These photos are definitely high resolution, so if there was an alternative way for me to post them, I would do that. 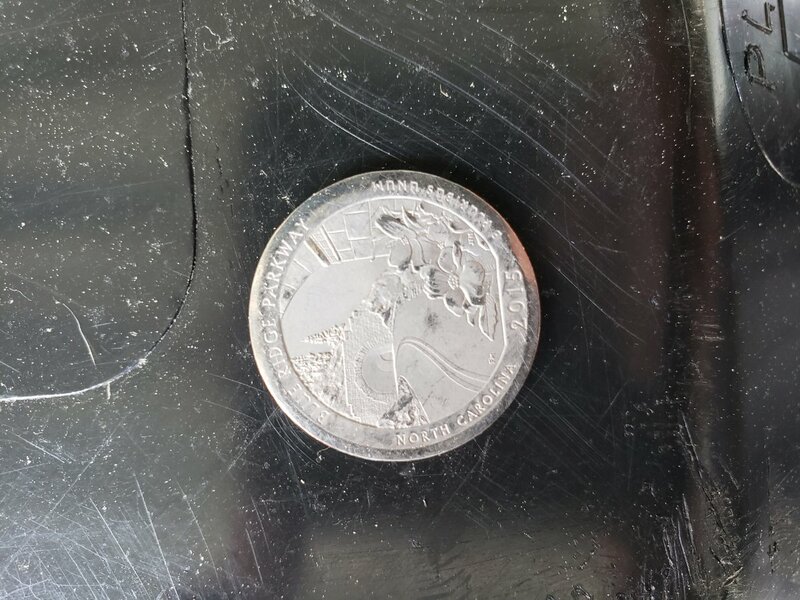 Sorry, but you don't have an error coin. Just a heavily damaged and altered coin. It's Post Strike Damage ( PSD). There's absolutely NO way that could of happened at the U.S. Mint. It's not possible. It's worth face value. Here is your picture cropped and rotated as per CCF instructions. Maybe I should have worded my answer differently. These photos are definitely high resolution, so if there was an alternative way for me to post them, I would do that. @SA, first welcome to CCF. Second, uploading pics to this site can be challenging at first, but there is a free photo "optimizer" which can help. Here is a link to the tutorial on uploading pics. I hope to see more threads from you in the future! to CCF. I am kinda thinking it is a dryer coin. Now, normally I would let this slide but the reason why I believe that this isn't the case, because someone else had posted in another thread the exact same coin that I had with the exact same deformations. I do not believe that it is a dryer coin at all. If you were to see this in person, you would understand that this definitely looks minted and that there are more out there than just this one in my possession. In fact, the reason why I joined this site specifically rather than others was because that person had queried about this type of coin, but did not make their own separate thread. They asked in someone else's thread, which obviously it did not get an answer to. I really doubt by luck, that same person managed to make a vague post on this forum, and somehow it landed into my possession to inquire about the same exact error. But that's okay, I'm going to hold on to it regardless because someone will be able to understand what I mean despite the informalities. What I'm trying to say is, I do not understand how the lettering is imprinted directly onto the rim. Even if it were to be worn down, it doesn't make sense as to why some of the letters are printed on the rim. Can anyone explain why the letters are imprinted ON the rim? 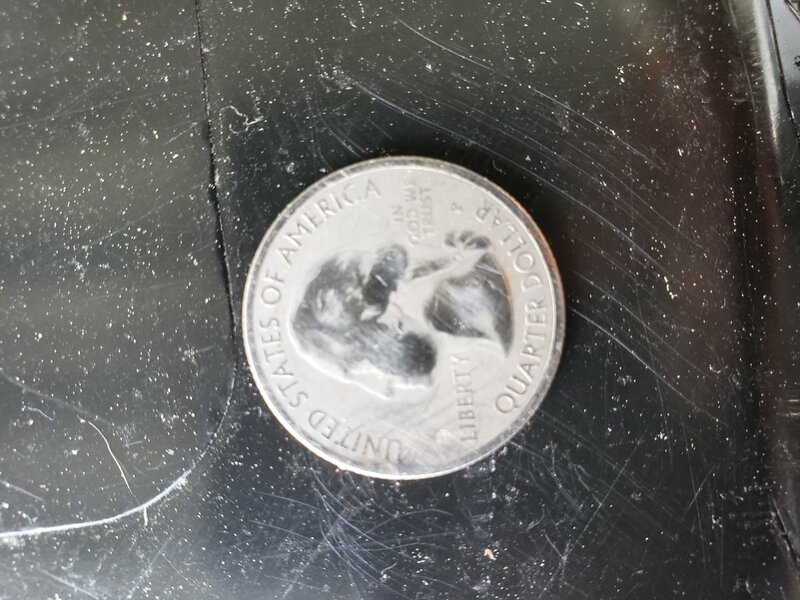 EDIT: I can at least confirm that this is not damaged from a dryer, or considered a " dryer coin". Now whatever it may be, I would happily like to follow into that investigation but I can at least dismiss the notion that it is a dryer coin. We can dismiss it as a dryer coin,but it is still not a mint error IMHO. It may have been done intentionally for whatever reason. Yes, the rim is removed. It doesn't affect the letters because they are incuse. PSD. Spender.